Business disruption is sweeping change across the broadband industry. These disruptions are changing how we think about the future of our operations, how we engage with our customers, and how quickly we accept and adopt new ideas. The cause of all this upheaval is the accelerated rapid advancement of technology. And this advancement is arriving faster than most operators can keep up with. Before one new idea is implemented, two others arrive. As a result, the trends and expectations for the future are also drastically changing. So now quickly, before the game changes again, we present the predictions for this year from our VP of Strategic Technologies, Carlos Bustamante. 1. Broadband Only MSOs: The first offering for MSOs was television services but the shrinking margins from traditional video offerings have made a Broadband-Only play more appealing. In their Annual 2017 Financial Report, a mid-tier MSO announced their main focus would be broadband. This has been cemented in 2019 with their re-branding and the removal of ‘cable’ from their company name. With the expanding presence of OTT and higher bandwidth network expansion with technologies like DOCSIS 3.1 and FTTH, expect more MSOs to take this bold step. 2. Higher Resolution = More Bandwidth: As prices for 4K TVs come down and OTT Content Providers offer more 4K content, bandwidth data usage for viewers will climb on a per household basis. Netflix states that the minimum bandwidth requirements for 4K quality results are 25Mbps. Comcast estimates that video streaming equates to 8GB of content per hour for 4K video. Along with the increase in other connected devices, expect that more and more households will reach, (and go beyond), their service provider’s monthly data usage allocation. 3. Mobile Carriers – The new TV Alternative: T-Mobile announced the Layer3TV acquisition in December 2017. The deal closed in early 2018 and left incumbent TV service providers concerned about the possibility of another competitor in an already thin-margin industry. The nationwide deployment of this disruptive video service was delayed to 2019. Look for the incumbent Service Providers to impose more bandwidth caps or other measures on 3rd party OTT offerings from carriers like T-Mobile. 4. 5G Has Started Deploying: 2018 saw the initial deployment of 5G in select markets by most major mobile carriers. The first true battleground will be in the home and not on the hand set. Expect pricing competition with MSOs and DSL Providers as this service is taken by early adopters. 5. OTT Services Growing: With vMVPD companies like Hulu surpassing amount of subscribers that Comcast has, the permanence of OTT is a given. However, the statistics show that subscribers want to stay at or below $20 / month for individual streaming services. With price hikes forecasted for some OTT offerings, expect quarterly growth to be impacted. 6. Blockchain: The volatility in 2018 showed that crypto, overall, is being held more as a crypto-asset than used as a crypto-currency. Bitcoin slid ~70% from its peak at Dec 2017. Expect 2019 to be a year of recovery for crypto with an uptick in Q4. A recovery will happen but the true value is being realized with the actual implementation of blockchain technology. 7. Alexa vs Google Assistant: Both Google and Amazon are looking for more sources of more data. To that end, smart assistants continue to be available in more devices. They have moved from speakers to light bulbs to the family car. Newer devices will have integrations with both Alexa and Google. However, Google Assistant has access to vast query results from the Google search engine. Expect Google Assistant enabled devices to capitalize on that edge with sales reflecting that. 8. The HD Bunny Ears: As the cost for pay television continues to increase and as households become broadband-only, expect an increase in watching free over-the-air HD television broadcasts for certain demographics that see little value in subscription based OTT offerings. 9. 802.11 ax aka WiFi 6: Mobile has 5G and CableLabs is touting 10G. Enter WiFi 6. Manufacturers are already rolling out Commercial grade equipment with end-user devices coming soon. Given the efficiencies and much higher speeds, consumer demand will make WiFi 6 the de facto home networking technology and operators will be pressured to upgrade equipment to satisfy that demand. 10. IoT: This topic is a broad conversation starter with different approaches from various industries. As noted above, Smart Devices manufacturers are focused on the end-user and poised to take over the home. However, the Service Provider’s network is being used by a 3rd party to fulfill their business plan, much like OTT providers have through the years. The CAF II testing is starting this year. Now 3rd party vendors are going to focus on the Service Providers’ needs, in particular those in secondary and tertiary markets. Expect that this mandated focus on this market segment will provide new IoT innovation for Service Providers as a whole and will benefit the end customer directly. Carlos Bustamante has an extensive background in the cable industry and heads up engineering and development teams to ensure that ZCorum stays on the edge of innovation with new products and services. Carlos has held various roles in the Cable industry for 20+ years, starting his career as an engineer for The Weather Channel where he deployed satellite-based headend receivers in North America and Latin America. Carlos has been building his experience in DOCSIS hardware and software solutions since 2003, working for companies like Integrated Broadband Services (IBBS), ARRIS, and Intraway. During that time he has held roles in Engineering, Sales, Business Development and Customer Program Management. His specialty has been in translating Software Platform Analytics into actionable insights so it is more useful to the operator. 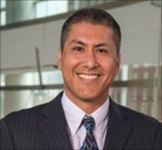 Carlos Bustamante is ZCorum's Vice President of Strategic Technologies, and has been involved in various aspects of the broadband industry for twenty years.